Other than today and yesterday, soil temperatures in New Brunswick have been reaching into the lower 50s°F during the last week or so. And you see the effects, some plants are finally awakening from winter slumber. Cool-season turfgrasses are slowly greening up. Tree buds are swelling, some are flowering. Forsythia is just starting to bloom. And prostrate knotweed, one of the earliest germinating summer annual weeds, is emerging. Some confuse the slender plants emerging along sidewalk edges at this time of year with grass but it is actually prostrate knotweed. Prostrate knotweed is frequently found invading damaged turf areas before other desirable grasses begin to grow. 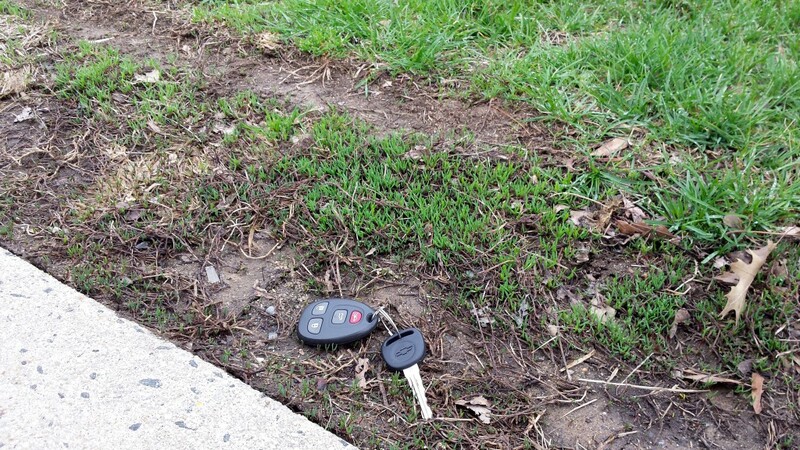 It is commonly associated with compacted soil and is often seen in high-traffic areas such as gravel roadbeds, sidewalk edges where the snowplow missed the sidewalk, paths and goal mouths. The extremely fine root system of prostrate knotweed is very capable of burrowing into highly compacted soils during the cool wet weather of spring. Many confuse the slender seedling knotweed plants that are now emerging with grass seedlings, offering false hope that bare areas are undergoing a spontaneous repair. Preemergence herbicides for crabgrass control can be applied up to 6- to 8-weeks after the prostrate knotweed has germinated, which makes that application ineffective at controlling the prostrate knotweed. Once established, knotweed is very difficult to remove with most herbicides. Herbicides containing carfentrazone provide good postemergence control of prostrate knotweed. Many of the common 2- and 3-way combinations of broadleaf herbicides are not effective on prostrate knotweed. Relieving soil compaction to improve the density and survival of the desirable turfgrass is critical to prevent this weed from invading into landscapes. 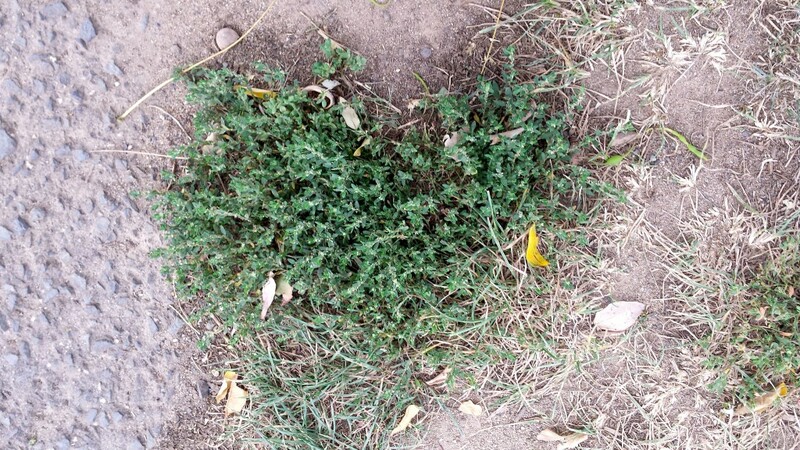 It isn’t difficult to distinguish mature prostrate knotweed plant from grass.